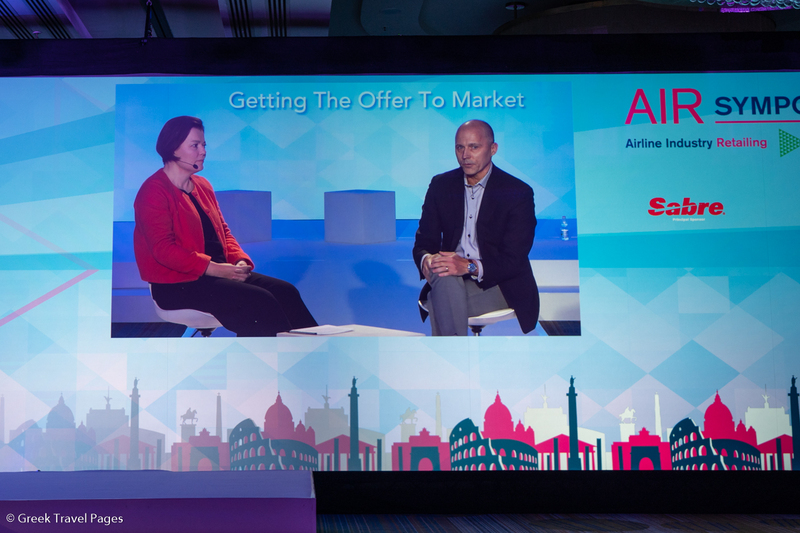 Sabre CEO Sean Menke bwing interviewed by Caroline Strachan, Managing Partner at Festive Road. 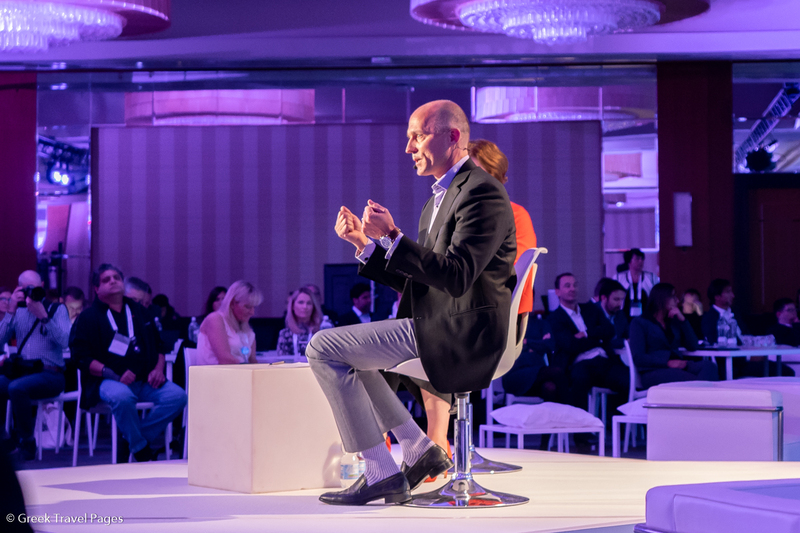 The most powerful disruptions and shifts in the global travel industry were analyzed last week by Sabre CEO Sean Menke at the IATA AIR Symposium 2018 in Rome, the first airline industry symposium dedicated to industry retailing. 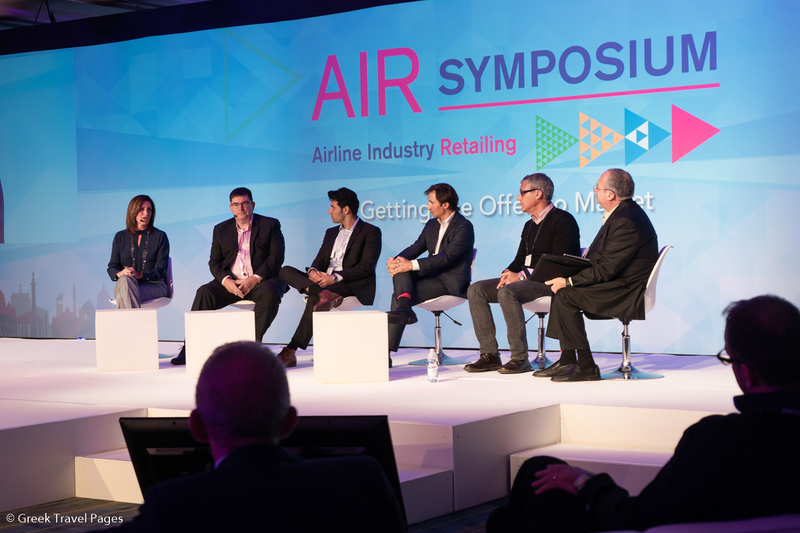 GTP Headlines had the chance to participate in the event, which included in depth discussions from top industry executives on topics covering distribution and payment, being the pillars to bring airlines into retailing. Sabre, as one of the world’s leading travel technology company which processes more than $120 billion of global travel spend annually by offering software, data, mobile and distribution solutions to hundreds of airlines and thousands of hotel properties, including reservation systems, revenue management, flight, network and crew management and is NDC Level 3 certified, is well into this journey to technological evolution. In fact, Sabre wants to get away from the terminology of GDS, as “GDS is an extension of our technology”, Sean Menke, Sabre’s CEO told us. He emphasized on the role low-cost carriers (LCCs) have played as a driver of change. According to Menke, from 10 percent of the market before 2000 to 30 percent of global seats today, the LLCs have had a significant impact on the industry. Another interesting factor he touched concerned oil prices. “The sun rises and the sun sets, oil prices go up and they go down and have a profound impact actually at how you look at your business”, he said. Panel discussion on “How fast can incumbents adapt and what does this mean for challengers?” – Kathy Morgan, VP of NDC, Sabre Travel Network; Ian Heywood, Global Head of Product and Marketing for Air Commerce, Travelport; Paras Kumar, Co-Founder, Airlines Technologies; David Doctor, Head of Strategy & Marketing for Airlines, Amadeus; and Moshe Rafiah, Founder & CEO, Travelfusion. Years ago, ironically, Menke, serving as Air Canada’s chief commercial officer, was the individual that pulled the airline’s content from Sabre in frustration at how the GDS was unable to display the fare’s attributes in a way that satisfied the Candian airline. But that was years ago! In relation to that, he said that Air Canada’s frustration with Sabre at the time was that the GDS was not allowing the airline to sell the products and services in the way that wanted to sell them. Senke highlighted that today’s consumer wants to “shop and compare”. This is what we see in the market place, whether this happens through direct or indirect distribution. And through the years, the direct and indirect mix, especially for whole service caries remains unchanged. “It’s our responsibility to help our customers shop,” Menke emphasized, be it direct or indirect. So the question is: should it be direct versus indirect?. It seems that all is just distribution. And rather than fight for incremental gains in market share, Menke suggested that in order to evolve, the responsibility is to “make the revenue pie bigger”. 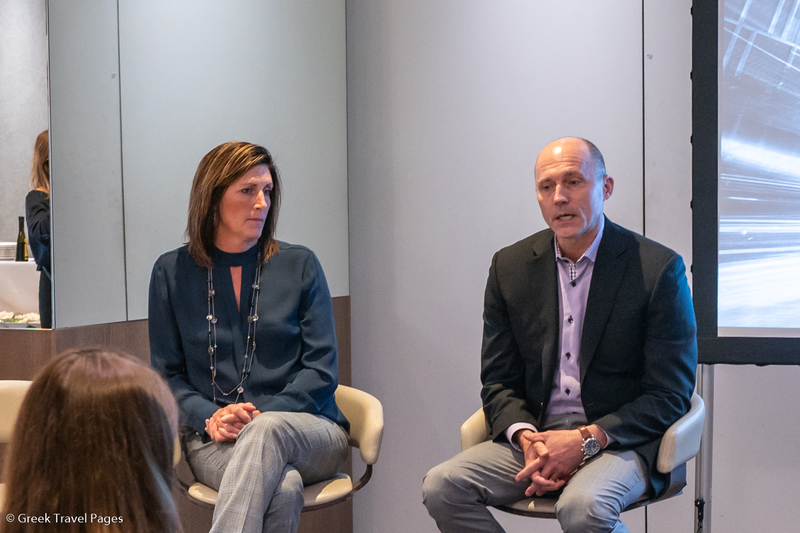 Kathy Morgan, VP of NDC, Sabre Travel Network and Sean Manke, CEO, Sabre Travel Network, during a Q&A session with journalists. At this point, Senke said that “a question arises”: Who is going to pay for the investment needed for all those changes? The GDSs, as the liaison between the airlines and the agency, need to maintain the balance and at the same time need to evolve. 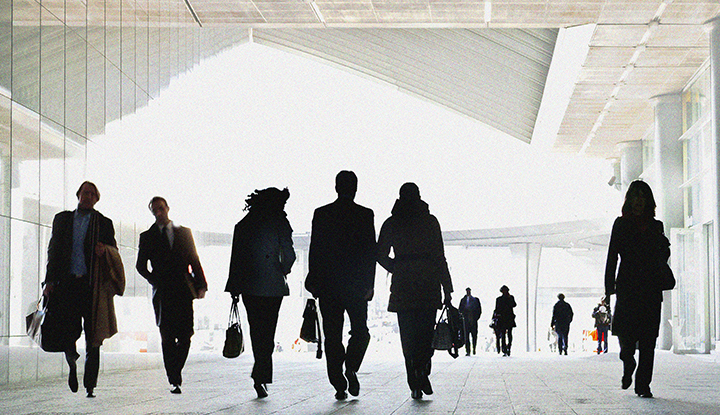 But if you do not have the right people and the right company culture, the evolution cannot take place. 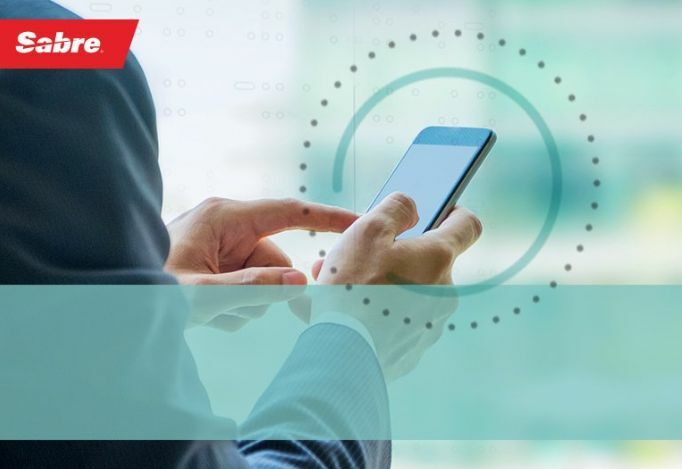 Sabre, with its 10,000 employees around the world, has put a lot of effort during the last few years to recruit talent from digital companies and other relevant industries. “We have been bringing some great technology talent that comes from very interesting backgrounds, with longest serving at the company for just four and a half years”, Menke said. He also agreed that disruptive forces “are here” and influence aviation. However, he argued that the underline travel technology in place has a great degree of complexity and the established companies that have created this technology are still the best placed to serve the industry, creating significant barriers for newcomers. “You [airlines] guys have code sharings, you have interline agreements and the complexity that takes place … you have to create schedules, crew planning, crew management, get through all that,” he emphasized. However, looking at the dynamics, Menke sees that there are some real shifts relating to the meta-search side of the equation. He said that although he can imagine LCCs being able to potentially sell seats through established players such as Amazon, he feels a little bit different when talking about whole service carriers, or high-end hoteliers that invest hundreds and millions of euros or dollars in their product to change their business model and start selling just seats. “This is a classic chess game we’re on right now and the question is what’s the next move because everybody is trying to understand it,” he said. Concluding, Menke agreed that Sabre, as well the whole industry, is on a journey where change is constant and everyone has to be very focused on where they want to land and – when they land there – understand that this is going to change again. And everyone needs to be prepared to follow this change.